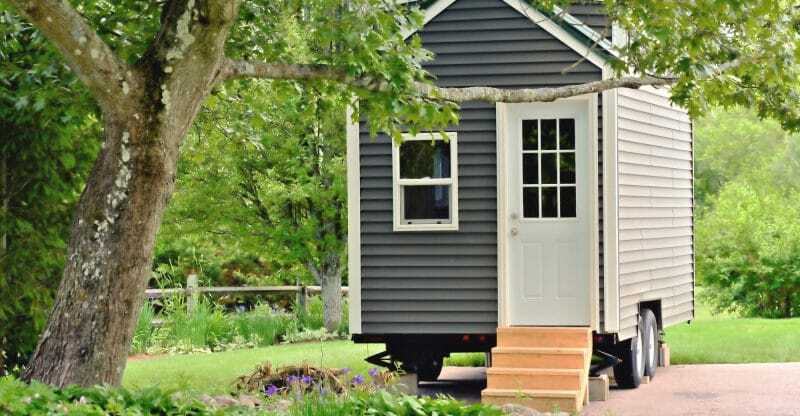 So, you’ve finally taken the plunge into tiny living. Congrats! You’ll have much less debt, if any, be able to live almost anywhere you please, and you’re living green. Going green may have been your biggest motivator for buying a tiny home, but did you know there are ways to make your dwelling even greener? We have three steps to make your eco-friendly house even greener. If you don’t consider the caves of the Stone Age, eco-friendly tiny houses have been around for hundreds of years. Henry David Thoreau wrote On Golden Pond while staying in a 150 square foot cabin in Massachusetts for more than two years. But over the last decade, more people began ditching their massive spreads for houses measuring in at 400 square foot or less. Thanks to the mortgage crisis, the Internet, and HGTV the tiny house movement is going strong and showing no signs of slowing down. Two years ago, Tesla announced solar roof tiles were in the works, and the interest was so high there was a waiting list. The solar roof tiles rolled out earlier this year, and now, Elon Musk & Co. has competition from other manufacturers who have taken Tesla’s design and improved on it. Solar roof tiles are different from solar shingles in a few ways. Tesla’s design is aesthetically pleasing with four different roof tile styles to choose from. Technology is advanced which leads to productivity, engineering, and performance advancing. It’s still early in the process, but solar roof tiles continue to impress with their performance which will only lead to more availability at a lower cost in the future. We all know the benefits of recycling, but have you ever considered putting those recycled materials back into your home? Glass is recycled and sometimes made into tiles. These tiles are used in bathrooms, kitchens, and floors for a natural look and feel to a space. Check your local recycling plant and find out who in your area works with recycled glass. Paper insulation or cellulose insulation, is – you guessed it – recycled paper. Cellulose insulation is made from office paper, newspaper, and cardboard and applies using a traditional insulation blower. There’s no chemical foams or harsh chemicals, so it’s eco-friendly and people and pet-friendly too. There’s a reason why cork floors are growing in popularity. Actually, several. It turns recycled cork into gorgeous floor coverings that are lightweight and good for the environment. Cork floors are insulating, 100% water-resistant, hypoallergenic, and ergonomic. They help the environment by eliminating hundreds of thousands of pounds of cork waste and help your aches and pains with its buoyancy. CozeLiving is the source for information on tiny houses. Seen on every major network, our blog has everything you need to know about eco tiny homes including a guide on building an eco-friendly tiny house of your own. Contact us for questions or more information and get started on your path of tiny living!